If you have ever read back over your writing from years or months ago, you know it’s like going back in time to the place you wrote from; happy, sad, distracted, joyous… what a gift to be able to put experience and emotion into words to keep the very unique printing that is the voice of your soul! 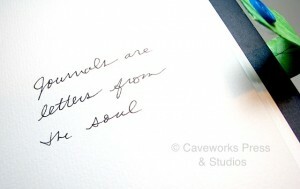 I’ve made these journals with the handwritten motto to inspire you: “Journals are letters from the soul.” Each journal has a unique hand made paste paper cover over scrapbook quality card stock wrapped in boards. 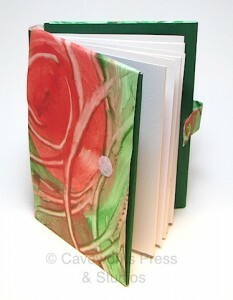 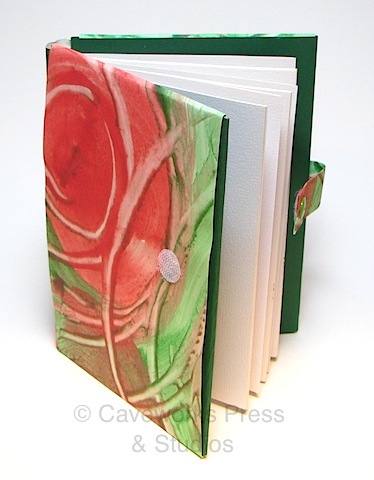 The covers are constructed with folding, allowing them to open flat for easy writing. 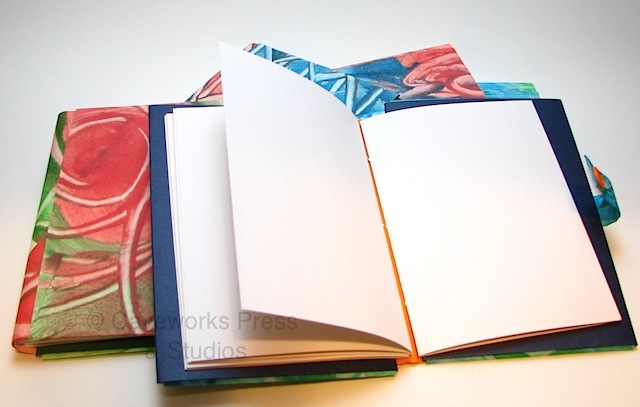 The signatures are a vintage laid paper stock and pamphlet sewn with blue linen thread. 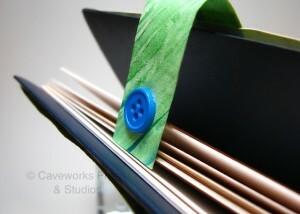 A paste paper velcro closure is decorated with a contrasting button. There are 32 pages and 72 page versions, and the overall size is 5.5 by 7 inches.